You know how we all have that neighbour who’s got better tiles, better furniture, nicer food that us, more friends than us, more faucets, a bigger TV, and we try and take a sneaky peek inside everytime we can? Colombo is like that enviable neighbour. A recent 4 day trip quickly reversed every expectation I had. Having braced myself to ward off hawkers and brushed up on my negotiation skills, I was in for an unexpected surprise. The airport is not swanky but most definitely more productive and efficient than our beloved Anna International Airport. There are no pigeon nests inside and the glass doesn’t fall off if you lean on it. Get through immigration, purchase your pre-paid SIM card, pick up your luggage while you watch adverts on the big screens, and head straight to book a super spacious Airport Taxi. Settling into the non-AC SUV for the hour long drive to the hotel, the realisation that this country has developed rapidly hits you pretty quickly. The airport is connected to the city with this fantastic motorway – no overtaking, no blaring horns, no bullock carts and not a speck of garbage. We cruised along at a steady pace, while the driver became our source of every piece of amazing information on Colombo. If you are on holiday, I would recommend you stay at a hotel on Galle Face, overlooking the ocean. It’s dotted with Indian, American and Sri Lankan properties and something to suit every budget. Walking along the coast and taking in the skyscrapers, the lack of trash, the hybrid cars, mums with baby strollers and young couples so in love, I found something I’d been missing. Peace. I sat on a bench facing the sea, gusty wind in my hair, filling my lungs with the cool, salty air. A light drizzle was building up, the speckles of rain feeling like heaven on my face. How can this be an hour from where I live? The next day we did a two and a half hour bus-top tour. At USD 25, my expectations from it were pretty low, but I could not have made a better decision! Offering a bird’s eye view of the city, it’s the best way to experience Colombo. 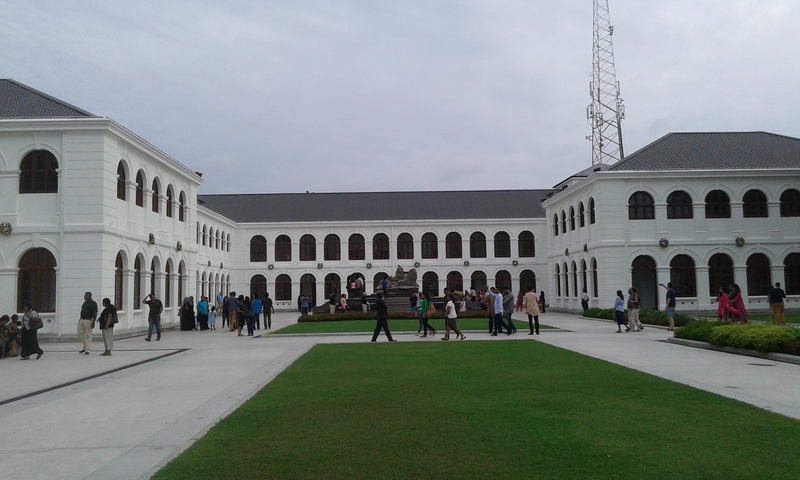 The restored and repainted old colonial buildings stand out next to the shiny modern high-rise structures. What strikes you the most however, is how green and clean the city is. 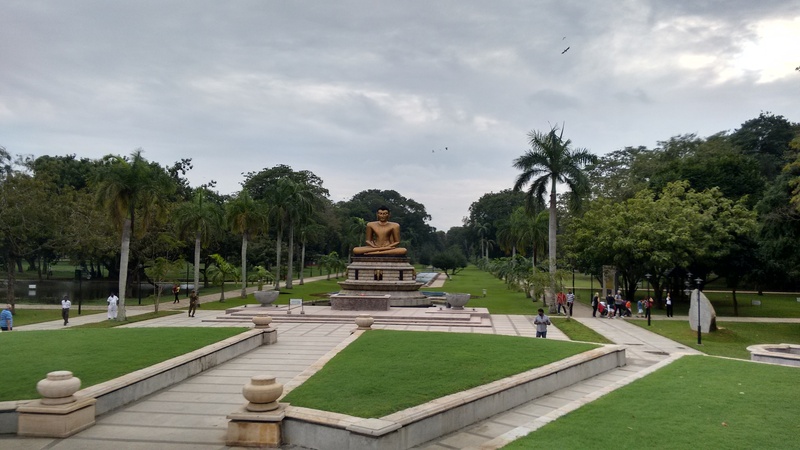 It’s got lush parks and bicycle tracks, somehow the buses and rickshaws don’t bellow out as much smoke, and people don’t keep inching forward at traffic lights. You will find free-standing statues of the Buddha everywhere, pristine lakes, beautiful temples and rule-respecting citizens.Walk through the streets to explore local cuisine, but watch out for “vegetarian fish”. I would skip shopping though – there’s very little in Colombo’s malls you can’t get here. If you have an extra day, take a bus or a taxi to Galle, driving along the Expressway for about 90 minutes. This is the easiest, quickest way to get to the stunning Dutch Fort. Eat at one of the many quaint cafes, shop for jewellery and quirky clothes, or walk by the clear waters reliving the Dutch fort-construction strategies. You can also sign up for a walking tour with Juliet Coombe. 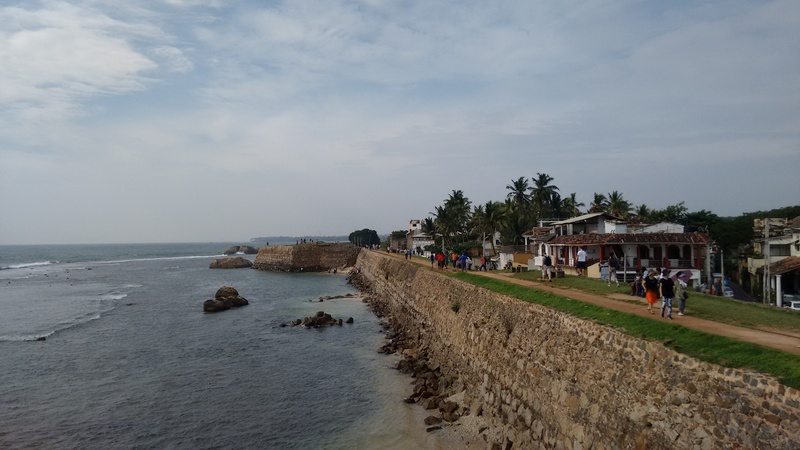 Galle is not to be missed. An absolutely beautiful must-do place. I just wish there were more signs narrating the obviously rich history that once made this fort such an important defence location. I don’t know what it’s like to live in Sri Lanka, but what I do know is that it’s going to steal all of India’s tourists if we continue to offer the welcome that we now do. Remember when Chennai used to get backpackers by the truckloads? They’ve all gone to Colombo. Go to Sri Lanka, Chennai. Go spend your money in this breathtakingly beautiful country. I promise you, you will come back with a soul full of peace, a mind full of questions, and a heart full of hope of what could be. Thank you Sri Lanka, until next time. Taxis are efficient but relatively expensive in Colombo. You could opt for rickshaws, but always insist on taking one with a meter; many of them don’t have one. The Sri Lankan Rupee is half the value of INR. Buy as much as you would need in India and pay the rest on Debit/Credit card. It’s very difficult to change it back to INR if you’re left with wads of extra cash! Budget about INR 3000-5000 per person per day to make the most of Colombo. A version of this article was published in the Metro Plus, The Hindu. Wow! Glad you enjoyed your stay at Sri Lanka. Check out this post by Sean -> seaninshorts.com/2015/05/see-sri-lanka-in-six-days-for-less-than-au100-10000-rupees.html whom I met during his stay.